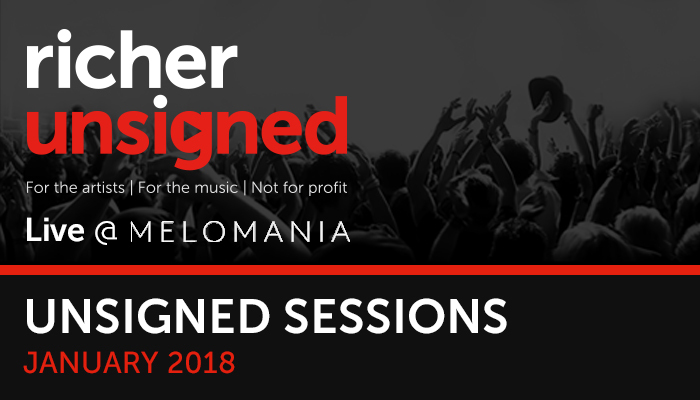 It’s a new year and that can only mean one thing… Richer Unsigned Sessions are back at Melomania, baby! To start things off with a bang, we enlisted two very special acts to get toes tappin’ and bodies movin’! A big thanks to both Anavae and Amaroun for their fantastic performances, as well as everyone that came through and made the event a success! Be sure to head to www.richerunsigned.com to learn more about what we do and to hear even more amazing unsigned music!